Big Thanks to all of you BeerNuts who’ve been keeping up with our progress via the socials. First and foremost I have to give BIG PROPS where they are due and I feel like I’m bragging just a little bit, but…I have one HELLUVA GREAT TEAM!!! at Three Marm Brewing. All of you Three Marmies will be happy to hear that the Tap Takeover and Introduction of our Holiday 4 Pack was a smashing success! 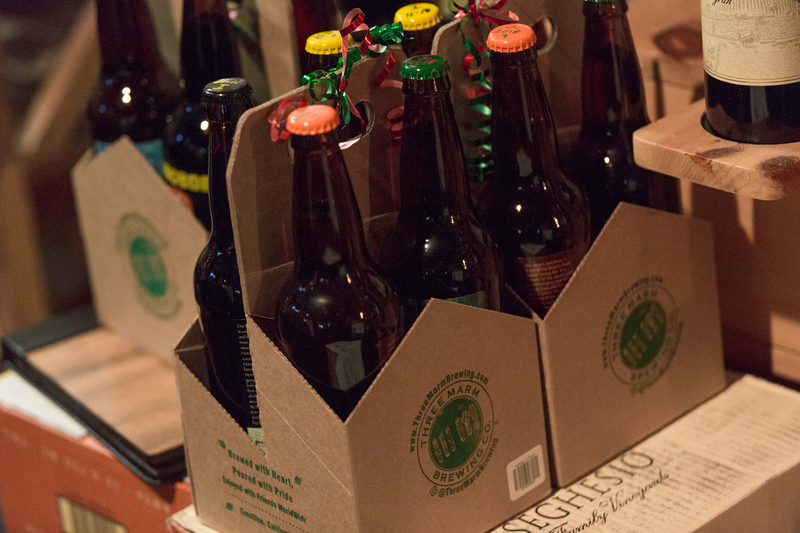 We put together a very limited count of the 4 Packs – 48 – and sold every single one of them last night at Grapevine. As you can see by the beer board, our four flavors: Trugger – Logger Lager, Cowboy IIPA, Robusto – Horchata Porter and our flagship brew – Djinn’s HellaBrew, were poured as pints and tasters to give the full house of attendees a taste of what was in those 4 Packs that flew out the door – Thank You Mountain Community Marmies, and Thanks to all of you Marmies who made the trip up the mountain to try our beer and support our efforts. Here is some photo evidence of the convivial and celebratory vibe sponsored so well by Grant Dunning and his very capable team including – Mike, Rachel, Karen, Konnor, Matt and Andy, to name a few. I will close this exuberant message by giving BIG THANKS!!! again and BIG CONGRATS!!! 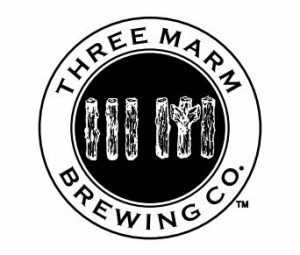 to my Three Marm Brewing TEAM for helping greatly to make this first ever Tap Takeover and Holiday 4 Pack event a SMASHING SUCCESS!!! – Donnie Strodtman, Adam Hernandez, Chad Ambrose and Erica Wright without whom we would be but a whisper and an afterthought in our socials and our web presence. Onward to face our next challenge, and…as always we will keep you posted! Great to know the takeover went well. Looking forward to visiting and hopefully attending an event.